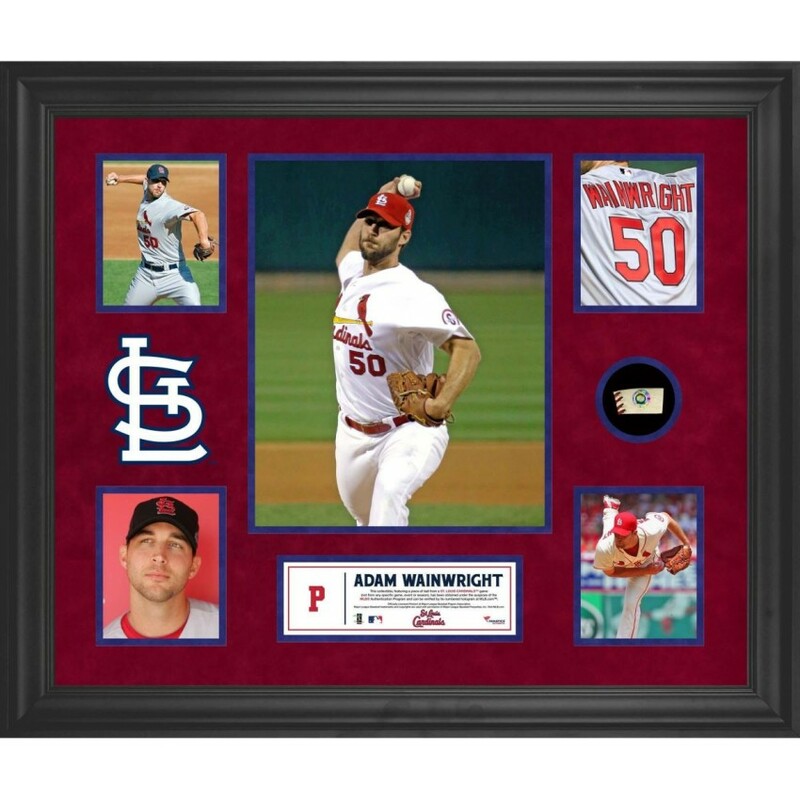 Each piece features 5 photographs, a descriptive plate, team logo art and actual piece of game-used baseball from a St. Louis Cardinals game that has been double-matted with a suede top mat and framed in black wood. The game-used baseball was obtained under the auspices of the MLB Authentication Program and can be verified by its numbered hologram at MLB.com. It's officially licensed by Major League Baseball. The frame measures 23'' x 27'' x 1''. Commemorate Oklahoma's 800th victory with this Scores ticket plaque which features a custom 800 vict.. This baseball has been personally hand-signed by Miguel Cabrera. It is officially licensed and authe..
Show your Miami Heat how proud you are of them with the sublimated 2013 NBA Finals Champions 12" x 1.. These oversized pennants are hand crafted with vibrant wool and applique to promiently display the t.. This game-used baseball was used by Nate Conger on July 12, 2014 against the Texas Rangers. It is of.. The New Zenith Edition football case has exquisite black acrylic and natural wood color trimmed base.. The Michigan State Spartans black framed logo jersey display case is made from a durable, high stren..
Machine-Made Tufted. 100% Premium Nylon Pile. Made in the USA! LSU 3'10"x5'4" College Home Field Are.. In Minnesota and Iowas 1927 duel at Minnesota, the final score was Minnesota, 38; Iowa, 0. Heres the..